This Columbia Boy's Youth Snowfield™ Jacket's waterproof-breathable shell, synthetic insulation, and thermal-reflective lining make mountain days extra comfortable. Adjustable hood, cuffs, and a powder skirt make them snow ready. Plenty of pockets stash small objects. Our Outgrown™ system makes it easy for this jacket to adjust to their growth spurts to extend the life of the jacket. 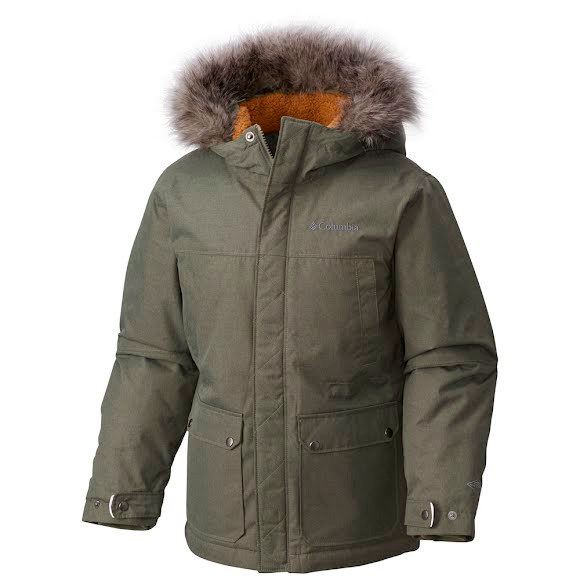 This Columbia Boy&apos;s Youth Snowfield™ Jacket&apos;s waterproof-breathable shell, synthetic insulation, and thermal-reflective lining make mountain days extra comfortable. Adjustable hood, cuffs, and a powder skirt make them snow ready. Plenty of pockets stash small objects. Our Outgrown™ system makes it easy for this jacket to adjust to their growth spurts to extend the life of the jacket.